Post 1990s after the globalization of Indian economy helped the blooming of IT industries. 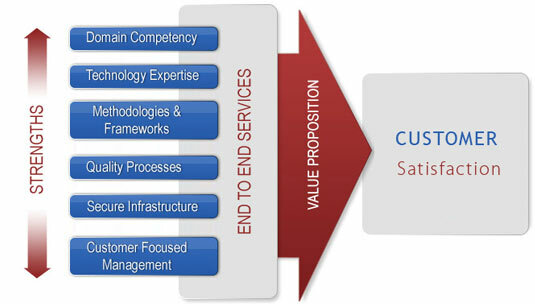 India has slowly become one of the major outsource hub for software and IT enabled services for the world. Behind the success of Indian IT related services the reasons are quite a lot. To name a few major ones is cheap labor and access of highly equipped infrastructure. So the growth of the industry was at very high rate. But it is also true that the recession has pulled the growth from the back. When the global economy started to collapse Indian IT companies have to feel the heat. However, India still remains in the race of delivering quality jobs to the world. Various ploys have been taken for the survival - cutting short the resource use and dipping down the cost of development. But it is not that always the result was in favor of IT companies. The growth of freelancing services gave a big blow to the companies. It is true that in India the outsourcing of web design and development has been always very cheap. 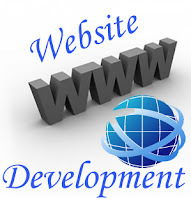 The hourly rate for the web development can be as low as $10 per hour. So from all over the world business houses have been out sourcing their projects to India. However, the companies are facing blues for the mushrooming freelancers doing projects at unbelievable low costs. A look at the Freelancing sites shows us that most of the bids are won by the freelancers. The companies can hardly afford to go so down in rates for competing with those individuals. Inflation in Indian economy is also pulling back the growth of web development companies. While recession came to the world economy Indian web development companies had not suffered so much as the market price was not so beyond control. But recently with the rise of the market price the IT companies have to increase the cost of labor and maintenance. And this affected adversely to the rate of outsourcing of web development project to Indian companies. It is again sad to say that employees working in companies have to work as freelancers to make both ends of income against expenditure meet. Companies have to tolerate pressure from both sides. The world is giving the outsourcing a second thought! Even the American President Barack Obama visited India for creating jobs in his country. The outsourcing is now believed as the major cause of job losses throughout the world. Now 1st world countries are thinking to stop major outsourcing of projects in all sort of industry by enforcement of law. This comes as a threat to the web development companies in India. If the enforcement of law bars the foreign businesses to outsource then the large numbers of web development companies have to see a dearth in flow of jobs. Hope this does not happen; otherwise India will see the loss of jobs and shut down or need "bailout" of web development companies just like AIG or other major players in USA. First the blow will be on small companies who have to surrender against the big players in the web development project accumulation. The big ones will be affected with "blood cancer"! Finally we can only hope of the best. Things should happen otherwise than what is shown above. The IT industry is playing a major role in growth of Indian economy. If this industry falls it would be a major setback to world economy too. Developing a website is made such a simple task these days, as there are many tools and techniques that were introduced. learned much at your web site and also I anticipate alot more articles and will be coming back soon. Syrup Technologies is leading Web Design India Company. It offers other services like Photo Restoration Retouching, SEO Services India, Database Management, Logo Design etc. Syrup Technologies provides best Web Design services by IT professionals. A perfect web development company only develop the big size of ecommerce websites by using Magento platform to online business purposes. Most of web design and development companies having strong team in web design, development,Search Engine Optimization and business development.